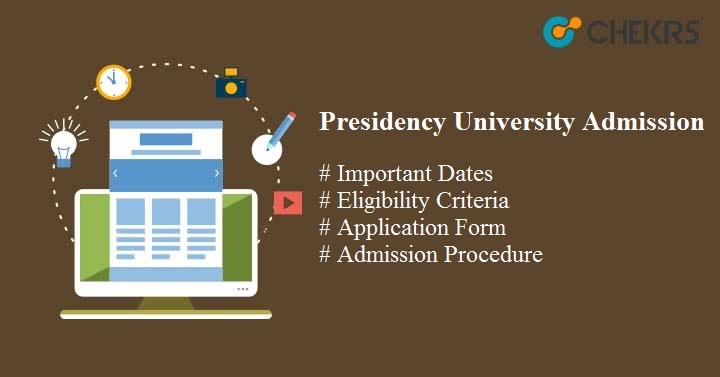 Presidency University Admission 2019: The presidency university will soon conduct its entrance exam. The whole admission process is started from the Feb. 2nd week 2019. The university provides the admission in UG and PG courses on the basis of the entrance exams. Get here all the details regarding the Presidency University 2019 Admission. Latest Update: PUMDET 2019 Registration will start on 19th Feb.
Latest Update: PUBDET 2019 Registration Started from today (12 Feb). Check Procedure and fill the form. Latest Update: PUBDET/ PUMDET 2019 Notification Released!! Complete schedule Announced. Check the table below. For taking the admission in the university the authorities conduct its own entrance exam i.e. PUBDET and PUMDET. We are giving here the expected dates regarding the Presidency University Admission. The official dates will be given very soon after the announcement given by the university. The Presidency University Admission Date is given below under the table. Candidates must match the Admission Criteria Of Presidency University before filling the application form. The details regarding the eligibility are given below. Here we are mentioning some of the points which help the candidates to fill the Application Form Of Presidency University. So candidates must go through these steps at least once. For both the examination, candidates are able to fill the form from there. All the respective candidates’ needs to fill the details like name of the candidates, the name of the father and mother, DOB, email ID, and the mobile number. Candidate needs to upload the scanned image of the Photograph and signature. After filling all the details correctly take print out of it for the future use. For both the entrance exam the application fee is Rs. 500/-. Interested candidates can submit the fee through the Net Banking/ Credit Card/ Debit Card. For taking the admission all the candidates needs to appear in the entrance exam. The admission process will take a few of the steps such as Filling Of The Application Form, Entrance test appears, participating in the counseling and at last PI. Selection of the candidates will be done on the basis of the marks obtained by the candidates in the entrance exam. At last, the counseling is scheduled. The university prepares the merit list of the selecting candidates. For the various courses, the Presidency University conducts the exam. For the UG courses, PUBDET exam is conducted while for the PG courses PUMDET. Through the PUMDET candidates are capable to get the admission in M.A./ M.Sc. in the postgraduate program while from the PUBDET candidates are able to get admission in B.A./ B.Sc. (Hons) in the undergraduate program. Candidates need to take print out of the hard copy of the entrance exam admit card along with photograph which is uploaded to the examination center. Candidates need to carry the hard copy of the admit card on the day of the examination. After all the examination is finished by the university, it declares the result. The university declared the result in the form of the rank card from which candidates are able to check the marks and the rank. The rank card will be available on the official portal of the WBJEE 2019. A separate merit list is prepared by the university for the UG and PG courses on the basis of the result. The merit list contains the name of the shortlisted candidates for the admission. After the declaration of the result, the counselling is conducted by the university in the month of July 2019. Candidates are able to get the notification of the counselling on the official website. On the day of the counselling candidates need to verify their document at the counscelling center on a given time period. The university will release the separate merit list which contains the details of counselling/ seat allotment/ provisional admission. After all the counselling process is complete the university conducts the PI of the selected candidates. It is necessary to appear in the PI for taking the admission. After seats are allotted candidates need to submit the application fee to confirm their seats along with the application form. The application form is submitted after the telephonic interview is done.